 Visit our Museum Store to take home some Wisconsin history. You’ll find a wide variety of books, unique Wisconsin-themed items and one-of-a-kind gifts. You’re not just shopping, you’re supporting all programming and exhibits offered at the Museum. Your purchases help us collect, preserve, and share our history for generations to come. Don’t have time to stop in? You can shop our online store, send us an email or call us toll-free at 888-999-1669. A number of excellent restaurants are within walking distance of the Wisconsin Historical Museum. For a complete list of restaurants in the downtown Madison area, contact the Madison Convention and Visitors Bureau or Downtown Madison, Inc. Parking is available through the city of Madison downtown public parking ramps. Temporary bus parking is permitted on North Carroll Street for unloading and loading museum visitors. Drivers may park buses for longer periods at Olin Park located off John Nolen Drive. City of Madison Metro Transit buses serving the Museum are 1-8, 11-15, 19, 25, 27, 29, 37, 38, 47, 56-58, 70-72, and 74.